All the 1 Vs 1 PvP Event Tables will be posted below...Enjoy ! Below will be posted a screenshot of the picks. Any and Every potion allowed. This means the "pk potions" aswell as the hp recovery potions. Only self buffs allowed. Players will be forced to relog if they have outside buffs. Vitality Builds are not allowed. Venomancer Bramble skill allowed and working. Players will be forced to start the fight with their own buffs / skills. among other potions, will now start to be forbidden to be used before the GM says "GO" or "Start", what ever used to start the fight. Players need to be level 150 to participate. If the level of the registered player is lower than 150 the next registered player will be selected. Fights have a duration of 8 minutes. After 8 minutes if there is no Winner, a Duel will take place with the Rules below described. Make sure you read them all. After players have be selected and matched randomly decided GM's will teleport the registered players of each fight, 1 by 1. After teleported if the player is AFK (Away From Keyboard) and not responding a time limit of 3 minutes will be set. After those 3 minutes if there is still no answer from the said player, he/she will be disqualified. If the players ready to fight have additional buffs than their own they will be asked to relog. If after relog they kept using forbidden potions, pills, etc...they will be disqualified. Venomancer and Mystic pets do not count as an offensive move. You must hit atleast once every 10 seconds. Pet does not count. Psychic white voodoo rule changed to 15 seconds. You can stay in white voodoo for a maximum of 15 seconds then you are forced to use Black Voodoo. You are allowed to change back to white voodoo right away, yes. Timer resets only when you get stunned, knocked down or slept. Casting AOEs skills on Dummy is prohibited. 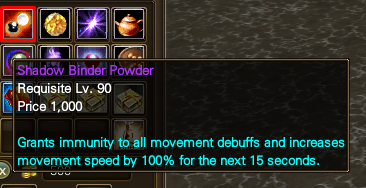 Characters have 5.00 auto attack speed for chi purposes before the fight. Dragon Arcane Top Piece (-6 % Channeling Time, 5% RPDT) not allowed. Matches duration is 8 minutes. Vit capes/build is NOT allowed. You will be disqualified if you leave without telling and 1 fight after yours passes. "Winners Bracket" is the regular one that everyone is used to. "Losers Bracket" is where players go when they lose a match in Winners Bracket, for a second chance. Grand Finals is between the finalists from Winners and Losers Bracket to determine 1st and 2nd place. The Losers Bracket finalist must win twice (once to knock the Winners Bracket to Losers, and again to win), while the Winners Bracket finalist only needs to win once. 3rd place is given to the player who lost to the Losers Bracket finalist. Aside from that, everything else is the same. * If any of this items is used the player will be disqualified (dq). Although Absolute Domain as well as Blazing Barrier are allowed so we will check the yellow aura around the player and the icon from the buffs, if it lasts for more than 6 or less than 15 seconds, the player will be disqualified (dq). Fights have a duration of 8 minutes. After 8 minutes if there is not a winner decided, the 2 fighters will duel to see who will move to next round and who will be removed from the Event. Rules for the Duel are the same as the ones for the normal 5 minutes fight with some exceptions and modifications. Check below for the exceptions and modifications. Cleric will be able to use any Healing Skills they wish, although there is one single Rule for them, they can only use Healing Skills 10 times. It will not matter which skills are used, but a total of 10 times will be the max. Mystics will be able to use any Healing Skills they wish, although there is one single Rule for them, they can only use Healing Skills 10 times. It will not matter which skills are used, but a total of 10 times will be the max. Can only be used and stay in stealth for 8 seconds. This skill will work only as a survival option and escape opportunity, if the player decides to go into Stealth mode and doesn't take any action after the 8 seconds, the said player will be disqualified (dq) from the Event. Can not be used in any fight at this event (1vs1 or duel). Using this skill will lead to an instant disqualification (dq) from the current day event. Using Surroundings to survive will from now on be forbidden. Taking advantage of this will result now in a disqualification of the player in question that used the surroundings for his/her own benefict. Seeker's "Blood Thirsty Blitz" and "Last Stand", this skills can only be used against the direct opponent, if the "Seeker" during the fight goes near the other players who are not participating on the match and uses the said skills to recover great amounts of HP in order to not die, then the "Seeker" in question will be disqualified. 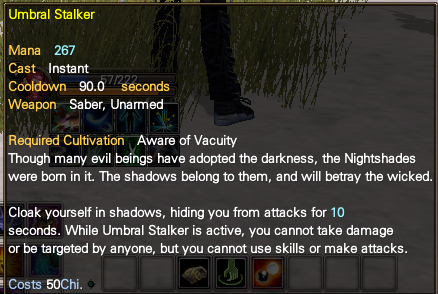 Assassin's "Shadow Jump" and "Shadow Teleport" are not allowed anymore if used on other players aside from the direct opponent. This is to prevent Assassin's to jump outside of the opponent range to stay alive. Assassins are forbidden to use this technics also on the "Dummy" inside the room. If Assassin's are caught breaking this rule they will be disqualified. If a Fighter does not attack within 10 seconds, the said Fighter will be disqualified. Using strategies to kite are allowed although not to be abused, this means you can kite a few seconds (10 seconds to refill your HP which is the time on Charm cooldown) but if the HP is back to full and the Fighter is running then the timer will start. Another point we would like to point out is that Fighters are not allowed to run in the opposite way of the other Fighter in order to disqualify him on purpose, we wanna see players fighting, using strategy is welcome but coward moves we don't really enjoy seeing such.NOTE: If the player decides to run away from opponent in a clear maneuver to DQ the opponent the timer, if there was any started, will stop and to be resumed when action also resumes. If the player removes weapon and auto attacks enemy in order to get chi at 5.00 speed, player will get DQ. If the player casts skills with an effect added to the caster (vanguard, stormbringer downburst etc) before the GM says GO, the player is DQed. In case players are found to stall the fights to go into duels we will step in and ask them to fight. If players do not fight after the warning and are still stalling the fight (5 minutes) to get to the duel, the player will be disqualified (DQ'ed). Once again we do not want players to kite and run and leap non stop, we want players to fight, to try to win. Psychics are limited to 20 seconds of continuous White Voodoo. After the 20 seconds, you much switch to Black Voodoo. You may switch back to White immediately if you so choose. If one of the players do not move after the countdown and disconnects after a few seconds. Meaning the player lost connection to the game and therefore was unable to fight. If the player after losing decides to claim that his/her genie wasn't ready for the fight you have to ask your opponent for the re-match, we will not accept that as an excuse since we GM's always wait for a fair fight and this includes the wait for the genie to be full. One of the players disconnect during the fight. If the player after losing decides to claim that he/she disconnected, it will be a decision of the opponent to accept or not to re-match. This will not be our call since we know that there is a Force Log button and players might use it if they see they will lose the match. One of the players was unaware of a certain rule. This will be decided by the opponent since the rules are all very well explained here there is no excuse for a GM about this to set a re-match. Rewards System: The rewards from this event will only be able to be sent to the character participating in the event. This means that we will not be sending any more rewards to any alts you guys choose to send. NOTE: Note that the "Surroundings" examples above are merely examples, any other class that decides to break the "Surroundings" rule will be disqualified.